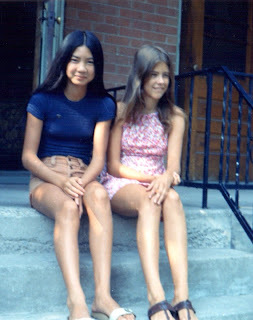 I remember spending hours upon hours sewing clothes and entire weekends devoted to creating new outfits during my youth. I made my very first dress when I was twelve years old! My girlfriend and I each decided to venture into sewing and we wandered into the most exquisite shop called the Uptown Silk Shop. Row upon row of the most gorgeous fabrics could be found there and it was one of my favorite past-times hunting for that unique piece of fabric. To this day, I still love textiles and color and making something from nothing. I have made hats, pillows, curtains, dresses, skirts, quilts etc. My Grandmother was a seamstress and made me the most amazing dresses when I was little and to her I am thankful for such great inspiration!